It is better to begin succession planning five years too early, than five minutes too late. 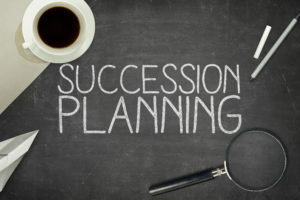 It is easy to dismiss succession planning. However, positioning your business so it is ready to be sold, or getting the right people in place to replace you, can take a long time. Succession planning should be incorporated into your current business strategy so you can begin to frame and structure your business to support its own future. Based on our experience, here are the three stages you need to work through to create a successful succession plan. If you are vital to the day to day running of the business, your absence could have a detrimental impact. An early sign there could be problems, is if your business grinds to a halt when you are on annual leave. The cause could be down to a lack of delegation or poor systems. Whilst your business may be able to cope with your absence for a week, an ideal situation would be for it to be able to survive for considerably longer periods. This will enable you to take longer holidays and even move on to developing other areas of your business. As well as protecting your business against any unexpected absences such as illness or injury. To begin your journey towards achieving this, we recommend undertaking a systems audit. This consists of analysing your current systems and processes and drawing up recommendations on how to improve these areas. By understanding how your systems integrate and ensuring that your team are familiar and fully trained, this will help your business to run smoothly regardless of whether you are in the office. If your business becomes too dependent on one director or one team members’ expertise, that could make you feel vulnerable should they decide to leave. Whilst this may not seem directly linked to succession planning, the long-term goal is to create a business that runs through efficient and integrated systems. This will protect you against staff absence or if you and a business partner decide to part ways. Therefore, you may want to invest in the training and development of either yourself or ideally several other team members to ensure the risk is reduced by spreading it across a greater number of people. Whilst the process of upskilling your team isn’t a quick fix or an overnight option, our experience has shown that your team will always be the biggest asset of your business. So, it makes sense to invest in them; increasing their skills and capabilities to maintain not only your businesses competitive edge but also to nurture future leadership candidates. If you built your business with the intention of selling, succession planning gives you the best opportunity to position and structure it effectively. You can sell your business either externally or internally. If your goal is to sell to someone already associated with your business, such as a current business partner or senior team member, then most of your focus will be on getting the structure of your business as stable as possible. Part of your succession planning will include getting the right people in place, with the right skillset and attitude, who you can eventually offer your business to. If you are looking externally then you may be considering selling to a competitor, which could result in a merger, or possibly someone currently unknown to you. For this strategy, you also need to consider where your business sits within the competitive landscape. Creating a stable, well-structured business will always be worth more than a business that is dependent on one person. You need to begin to think of your business as a product that you will be putting on the market, as your buyer will want to be assured that they are purchasing a worthwhile investment. Without any succession planning in place, it is highly likely that your business will simply cease trading. This could be because it does not have the team in place to run it in your absence, or that is it unattractive to investors, leaving you unable to find a buyer. For some business owners, their plan may have always been to close the business and walk away but if you believe that you are building a nest egg for your pension pot or an asset or legacy to hand down to your family, you will not want this to be the case. Here at Inspira, we work with ambitious owner managers to help them to create business plans that not only act as a road map to help them to achieve success, but also to incorporate they want for themselves, including succession planning. We can help you to review your future options and work with you to review your existing systems, processes and organisational structure to achieve the right succession for yourself and the business in the future. If you would like any assistance in reviewing your current business structure and incorporating succession planning into your business strategy, please give us a call for an informal chat.